He said it would also save ratepayers’ money and would have no effect on rates. On Tuesday, Mayor Campbell responded to social media criticism of Council’s plan for the building. The criticism erupted after an outline of the refurbishments was unveiled at a public meeting last Wednesday night. The Mayor said the Nanango building had already had a lot of money spent on it. In 2014 the Council spent $170,000 to correct underground drainage issues on the site, which caused a section of the adjoining Nanango Cultural Centre’s floor to rot and require replacement. He said Council now faced a further $381,500 maintenance bill on the Drayton Street building. This money would need to be spent on replacing the building’s 30-year-old air conditioning system, which was nearing the end of its life. More money would also have to be spent on correcting the building’s box drainage channels which were so badly deteriorated they let water in every time there was heavy rain and damaged the building’s facade. He said ageing electrical and data cabling systems, which had already caused two fires, also had to be replaced. Mayor Campbell said a key cause of the high maintenance costs was not only the building’s age, but also its unusual construction. The original building had other buildings added to it over time, and had never been planned as a single structure. “The future of this building has been under discussion in Council since 2016, and a full building assessment was carried out in 2017,” Mayor Campbell said. 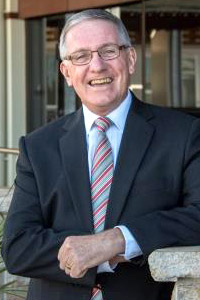 Changes in accounting standards introduced about the same time as Queensland councils were amalgamated in 2008 altered the way councils handled the depreciation of assets. Until then, Councils handled depreciation in a way which did not cover the cost of asset replacement. Now councils must set aside funds each year to pay for the future refurbishment or replacement of their assets. To comply with the new standards, South Burnett Regional Council has been setting aside money in its depreciation fund for the past decade. In the 2017-18 financial year alone, it set aside more than $16 million of its $72 million budget – about 22 per cent of its total income – for these future asset replacements. That same year it spent more than $5 million on asset repairs and replacements. At June 30 last year, it held a balance of $32 million in its fund. 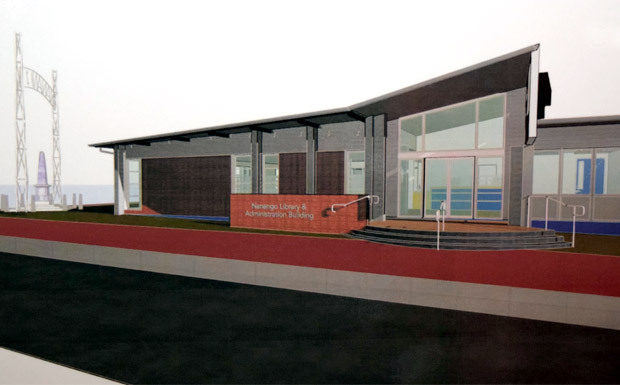 Nanango’s office refurbishment – and a similar refurbishment of the Council’s Wondai office and library already underway – will be paid for from this fund. The Mayor said Councillors had immediately ruled out moving staff because of the impact it would have on Nanango’s economy. “But since demolition and rebuilding was likely to cost $4 million or more, we chose refurbishment instead,” he said. The Mayor said the social media comments implied Council hadn’t done its homework. He believed the opposite was the case. “We are very disciplined in the way we use depreciation funds, and we do it honestly and transparently,” he said. “We chose the cheapest of the three options and announced our plans last year, then put the project out to public tender, then held a public consultation meeting last week to explain our plan. “No one at that meeting expressed any concerns about the cost or seemed to think what we were doing was a bad idea. The Mayor said concerns about the impact the project might have on rates, or calls to spend the money on roads instead, were not correct. “This project will be paid for by a combination of Works For Queensland funds from the State Government and Council’s own depreciation funds,” he said. “By law, the money set aside in Council’s depreciation fund for buildings can only be spent on maintaining Council’s building assets, not put into roads. I think you will find the Energy Building which will house the library is a lot older than 30 years, as are most of the buildings in Nanango. I have a concern that councillors seem to believe a 30-year-old building is so old. Who advises you guys? The Energy Building was a garage when I was a little boy. I have lived in Nanango all my life apart from two years in the services. I am 73 years old. Most of these councillors are just juniors that don’t know.